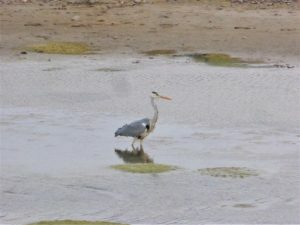 This beautiful Grey Heron has been visiting The Widewater Lagoon in the past few days. Let’s hope he stays a while. These Salamanders were found under railway sleepers in the Garden.